Have You Been Charged with Fraud in Hampshire County? Fraud is a criminal charge that applies to a broad range of offenses involving dishonest or deceitful behavior. 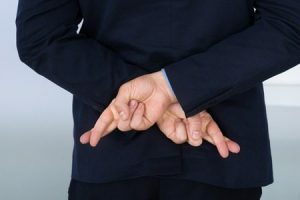 A fraudulent act occurs when someone misrepresents the truth in order to benefit personally or financially. If you are being charged, you will need an experienced Fraud Defense Attorney in Hampshire County, as a former prosecutor, Mr. Kokonowski provides sound counsel and guidance. Fraud charges can lead to serious jail time. Committing fraud in Massachusetts is a serious offense that can lead to incarceration, financial ruin, loss of a job or professional license — not to mention endless shame and embarrassment. In addition to being a criminal violation, fraud can also be considered a “civil wrong” which means a civil lawsuit can be brought against you seeking restitution for damages. Federal fraud charges may be applicable, you need an experience Fraud Defense attorney on your side. Depending upon the specific offense, you can be charged at the state level in Massachusetts or worse, you can be charged on the federal level. Charges of a federal nature are generally more serious and include a grand jury process and lengthy investigation involving federal law enforcement agencies like the FBI or IRS. In order to understand your charges, it’s important to get in touch with a fraud defense attorney in Hampshire County who can provide you with strategic counsel immediately. the victim suffered injury or damage as a result of the fraud. 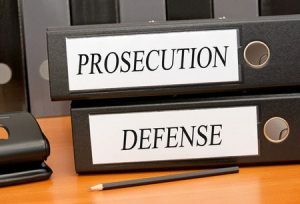 If you are under investigation for or have been accused of fraud, it is of the utmost importance to contact a capable criminal defense lawyer to aggressively fight the charge and plan your fraud defense. Thomas Kokonowski has the experience you need to protect your rights, freedom and financial future. He can represent you at every stage of your fraud defense case, from the initial investigation to a potential indictment and trial. As a former prosecutor with over 25 years under his belt, Mr. Kokonowski knows how to deal with local and federal investigators. If you need an experienced advocate for your fraud defense in Hampshire County, contact our office today. An allegation of fraud has the potential to destroy your reputation and career, even cost you your freedom. Call Criminal Defense Attorney Thomas Kokonowski. today to learn how we can help.